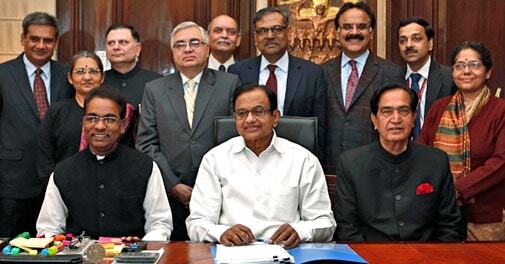 Finance Minister P Chidambaram may dole out some sops while doing a tightrope walk to keep the fiscal deficit under check when he presents the interim budget for 2014-15 in Parliament on Monday ahead of the Lok Sabha elections. Along with the budget, he will present a vote-on-account to seek Parliament's sanction for spending till July. By tradition, the interim budget does not contain proposals seeking to tinker with direct taxes, nor are there any policy announcements, although there may be some sops for the common man and sectors that need help. Earlier, Chidambaram had indicated he may tweak excise duties and service tax rates in the interim budget in an apparent bid to boost the economy, but he may not pursue key reform legislation due to lack of political consensus. "We cannot propose amendments to the Income Tax Act, Customs Act or the Excise Act. But any proposal short of amending a law can be made. We can also outline a vision for the future," he had said. It would be interesting to see if Chidambaram continues with the super-rich tax in 2014-15 as well, but indications are he may choose not to since it would need amendment of the law. In the last Budget, the government imposed a 10 per cent surcharge for a year (2013-14 fiscal) on people earning income above Rs 1 crore. It covered 42,800 individuals and entities. The minister is expected to use the opportunity to highlight the achievements of the UPA-II government and focus on how the government has been able to contain the fiscal deficit and the current account deficit (CAD), notwithstanding the difficult global situation. . The full Budget for 2014-15 will be presented by the new government in June-July. Chidambaram may explain why economic growth slowed to a decade's low of 4.5 per cent in 2012-13 and outline steps taken by the government to put India back on a high-growth trajectory. Although the Central Statistics Office (CSO) has estimated a growth rate at 4.9 per cent in this financial year, Prime Minister Manmohan Singh had said it would exceed 5 per cent once the figures were revised. Key reform measures such as the insurance bill, the goods and services tax (GST) and the direct tax code (DTC) are not likely to be taken up by the outgoing UPA government for want of political consensus. In an election year, governments have traditionally presented an interim budget or vote-on-account, a shorter version of the budget. The government, sources said, will come out with revised estimates for tax collection in 2013-14 and projections for the next financial year. As per current indications, the fiscal deficit this financial year is expected to be less than 4.8 per cent of GDP estimated in the budget, mainly on account of expenditure compression and higher realisation from the 2G spectrum auction. The fiscal consolidation road map requires the government to contain the fiscal deficit at 4.2 per cent of GDP in 2014-15. Chidambaram had on several occasions said he had drawn a red line for the fiscal deficit and it would not be breached. The gap could be 4.6-4.7 per cent of GDP. The CAD, which was a major concern last year, is likely to narrow to below $50 billion, or 2.5 per cent of GDP. It had touched a record high of $88.2 billion, or 4.8 per cent of GDP, in 2012-13.